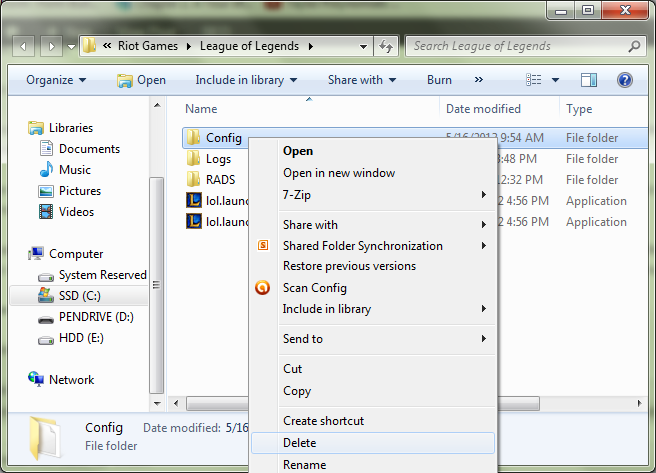 Knowledge is one of the best weapons in LoL. 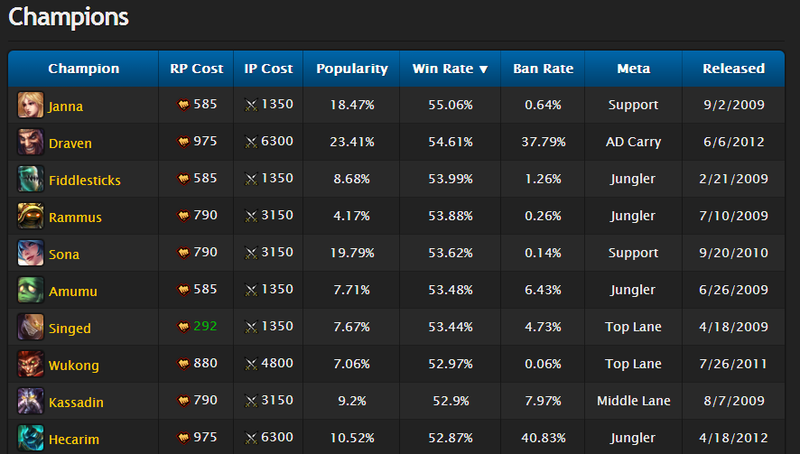 Knowing your opponent’s runes, masteries or rank can help you itemize against them more efficiently. Per example, if you’re up against a Pantheon with 21/9/0 masteries, it would be a good idea to start with a cloth armour and five potions in order to mitigate most of his damage. So, how can you find this out? 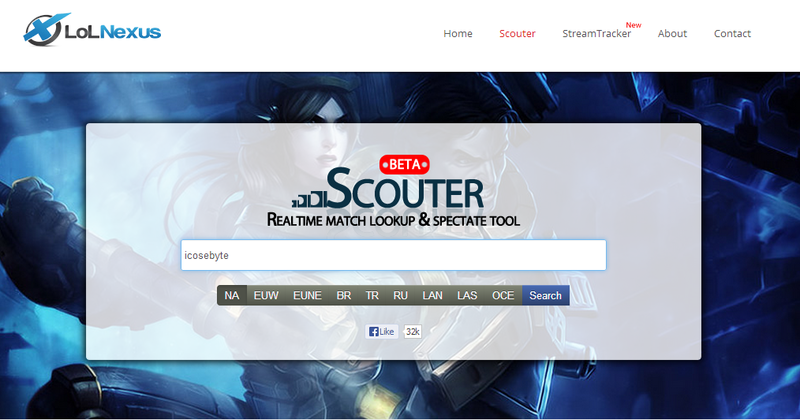 There exists an awesome tool called “LoL Nexus Scouter” (http://www.lolnexus.com/scouter) that does just that! 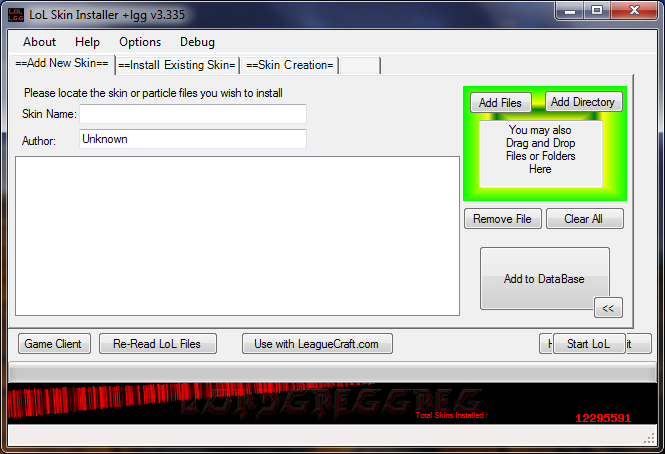 Using the tool is fairly simple, join a LoL game, and wait for the loading screen. 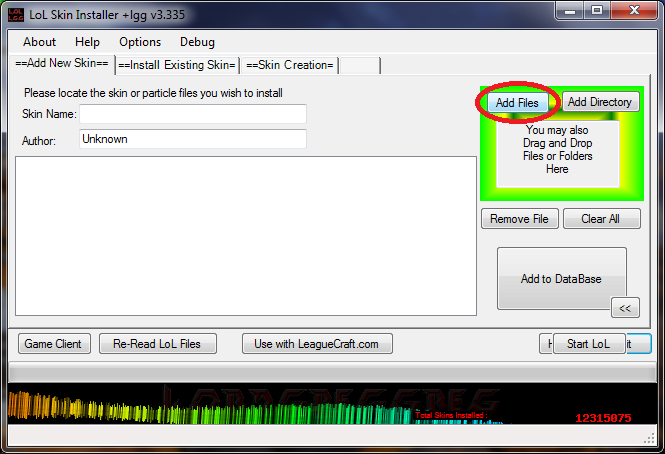 This tool will not work in champion select! Simply by analysing this screen, I know a bunch of stuff that could be very useful. 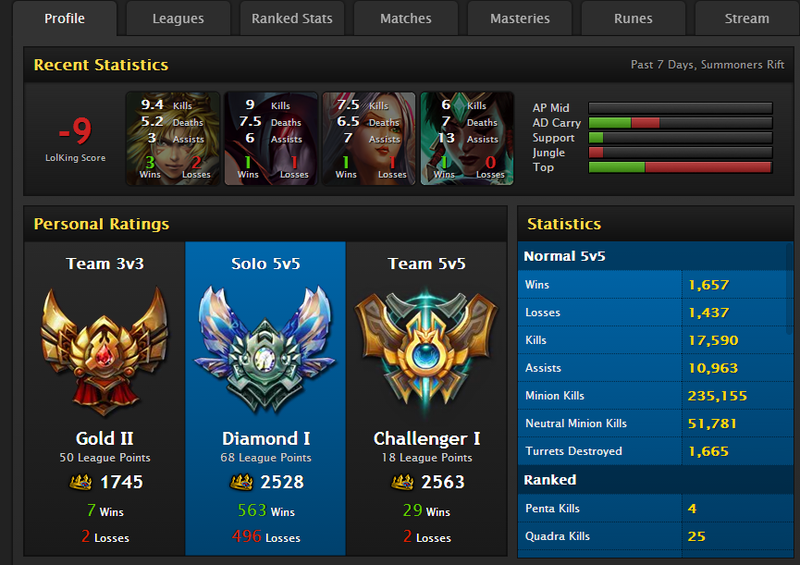 I’m playing Zac against Ryze top, and I know that him and the jungler (Jax) are premade. Therefore, it is important for me to only go all-in against Ryze when I’m sure that the jungler is far enough to not be a threat, since, chances are they’re on Skype, and Ryze could bait me into a fight that will result in my death (as always, wards op!). 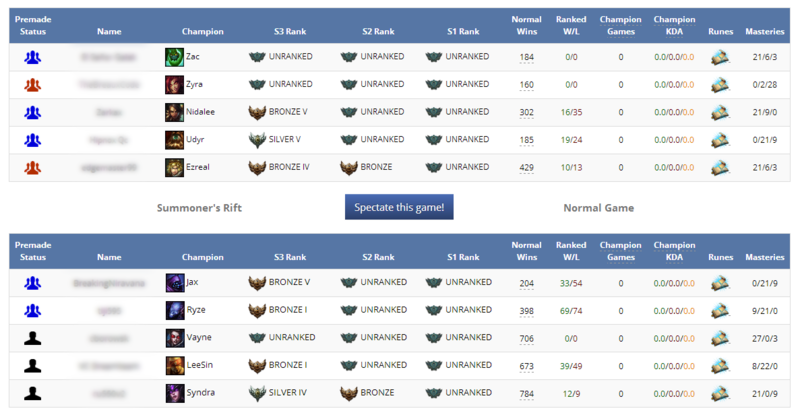 There’s also a bunch of other interesting information, such as the rank of the players, their number of normal wins, their rune and their masteries. 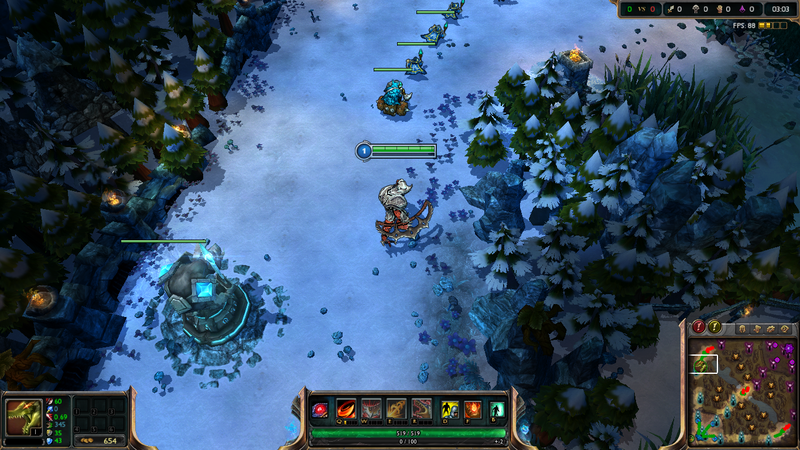 If you know your enemy, you win lane, and win game! That’s it for this article, I hope you found it interesting! I don’t know about you guys, but sometimes im a bit tired of the normal announcer in LoL. 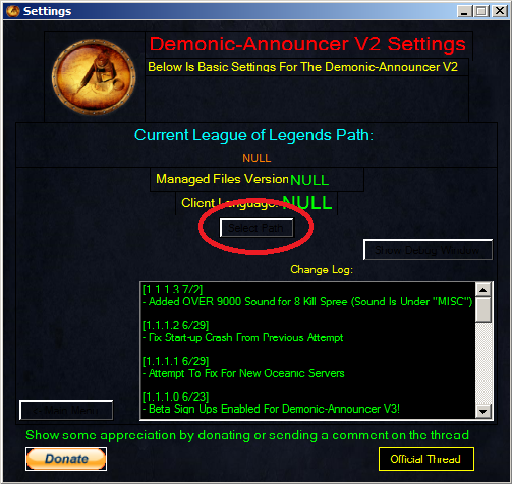 So i tried to find a way to change the announcer’s voice into something else and I found this beautiful program : Demonic-Announcer V2. 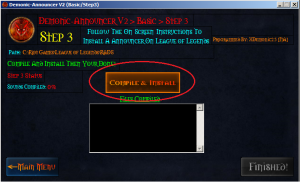 It is very easy to use and the results are very good, the only sad thing about it is that you can’t change the voice for whatever you want, but other than that, it’s an awesome little program. 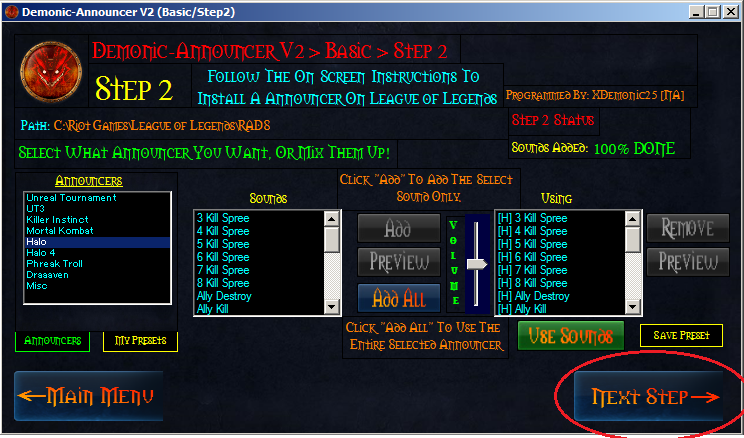 Here’s how to change the announcer’s voice in LoL. 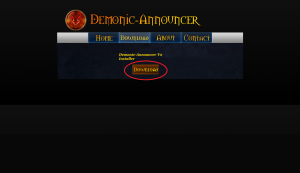 When the download is complete, you will have to select a folder to install Demonic-Announcer. 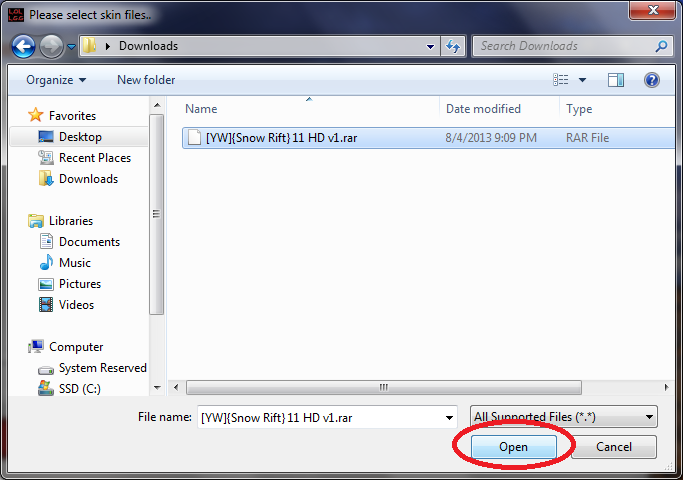 When it’s done installing, you only have to open the program. 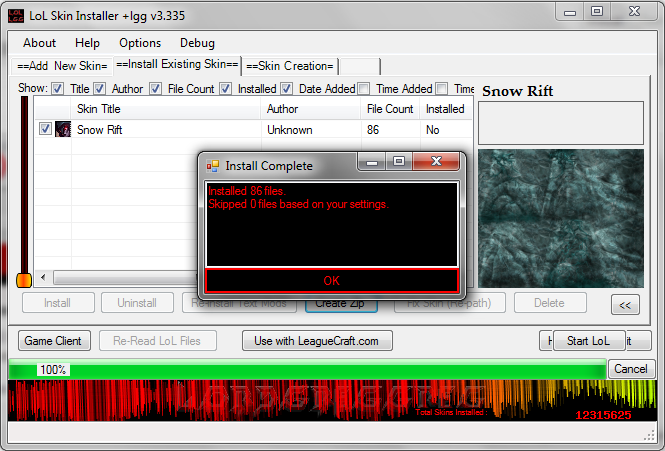 It will have to download some updates the first time you open it. 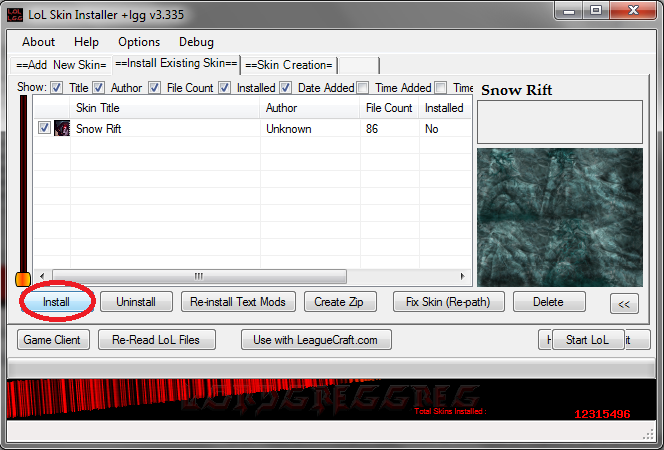 Create Rebuild will run a backup for you, so your LoL file is safe. then wait, the backup can take a moment. 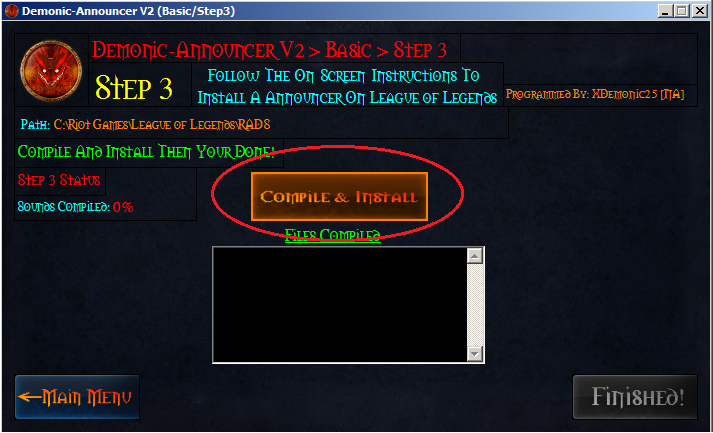 When it’s completed, click on Next Step. 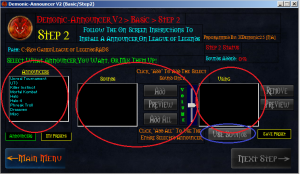 Now, you have to select all the sounds ( voices ) you want. You can mix them. The left red circle shows the different announcers, if you click on one of them, a list of sounds will appear in the centre red circle. 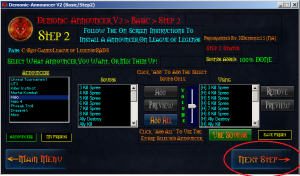 You can select a single sound and click on (Add) to add it or you can click on (Add All) to add all the sounds from this announcer. You can also hear a preview of each sound. When you are done selecting your sounds, click on the (Use Sounds) button, here in the blue circle. 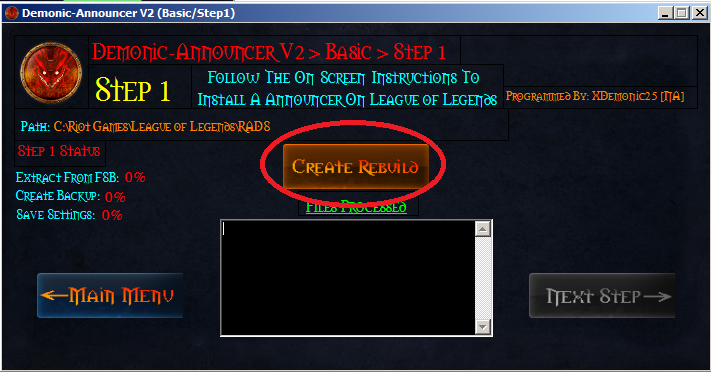 When you added the sounds you want, click on (Next Step). 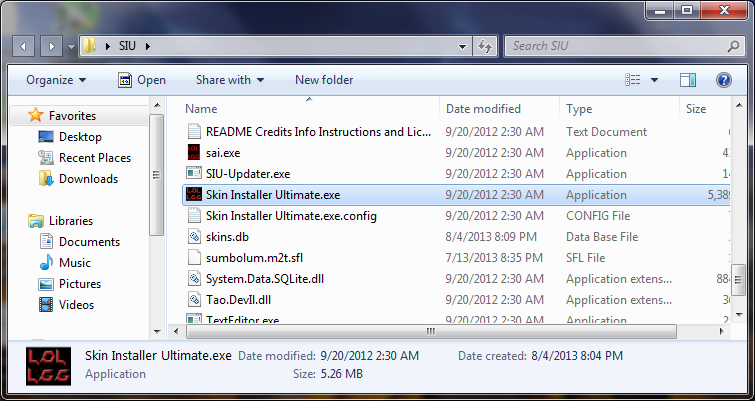 And finally, click on (Compile & Install). When it’s done, click on (Finished!) and here you go ! You have your new announcer’s voices ! 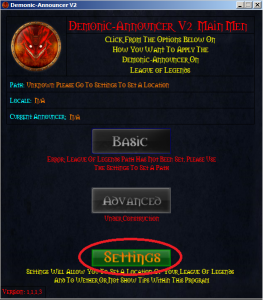 It will create a new Demonic-Announcer folder, don’t be surprised. 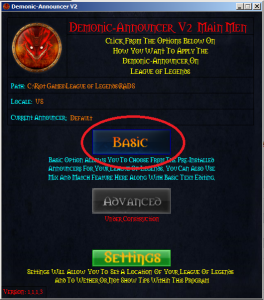 When there’s a LoL update, you will have to change your voices again, but the backup will not be as long as the first time so it’s not very long. Have fun using your new voices !